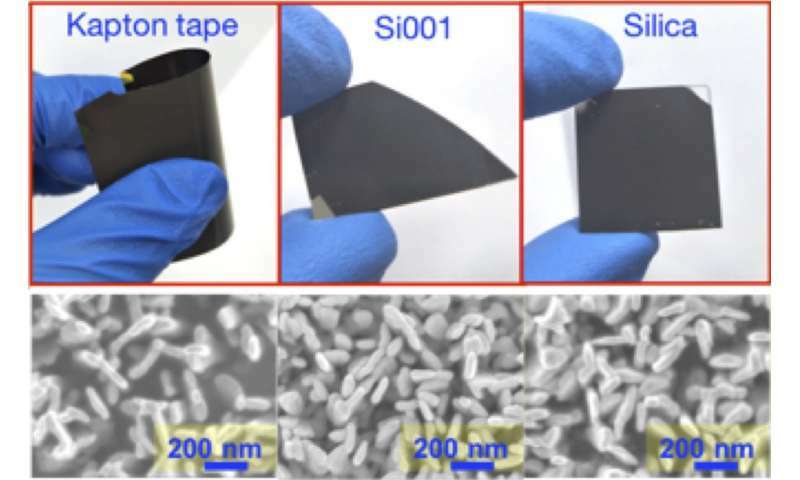 Researchers from the Singapore University of Design and Technology (SUTD) have engineered a new, inexpensive nanomaterial that has applications ranging from biomolecule detectors to solar energy conversion. The key to the material's remarkable performance is its nanostructure, which strongly interacts with visible and infrared light. This nanomaterial is easily coated onto other materials, including plastics, thus providing them with new functions. SUTD's Assistant Professor Robert Simpson said "The material can be deposited at room temperature on a range of substrates without patterning or acids. So far we have deposited the material over 100 mm diameter plastic, Si and Silica samples. This single step large area fabrication method makes the material industrially relevant. Indeed, the nanostructures were grown using a modified technique that is commonly used to manufacture tinted films on large area window glass."